Heroine started strong but her character turned wishy washy part in parts. No way believed that she couldn’t smell differences. Wasn’t crazy with sudden turn, Uncle suddenly bites dust when he had survived other life ending injury. Nope, and his bowing to a queen? Nope. Will still read other books in series. 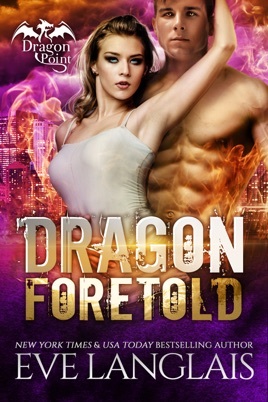 My favorite book in the Dragon Point series by Eve Langlais ties in many of the previous stories while weaving a surprising, exciting, crazy romantic adventure and a climax with great twists and turns. 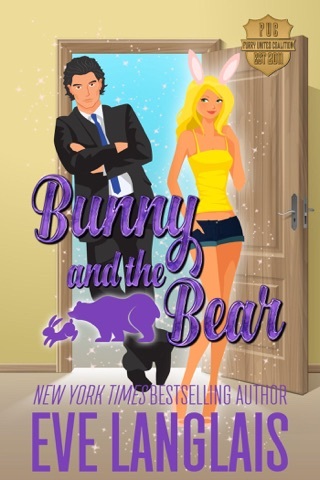 The latest story brings us back to Sue-Ellen, a gator Shifter who sneaks away with her Uncle Theo for a "better life" being spoiled by all his money and living in his mansion. Things are not as they seem though and Sue- Ellen gets hit with some unpleasant realities about her dear uncle. While exploring the mansion she comes across a secret room where a young dragon Shifter is chained down and being experimented on. The rare golden dragon Shifter Samael,awakens long enough to believe Sue-Ellen to be his angel and claims her as his own. Unfortunately he is a prisoner and the evil uncle now uses his niece to keep the rebellious dragon Shifter in line and get what he wants (his blood, DNA etc for experiments). There is a turn of events years later when the uncle dies and those held prisoner are freed. 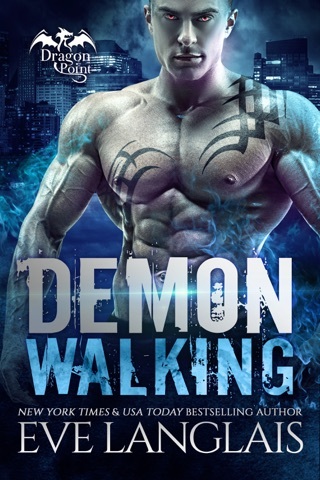 Sue-Ellen finds that Samael has changed and not for the better. Turns out there is a brother who has been hidden away and had his memory swiped, Remiel, who plays an important part in Sue -Ellen's past and future. The snarky dialogue between the dragons and the other characters (especially the interactions with Sue-Ellen),as well as the narcissistic personalities of the dragons provides delightful hilarity throughout the book. An awesome story filled with adventure, excitement, secrets and betrayals,laugh out loud humor, and phenomenal twists and turns. Really can't get enough of this series, please tell me there will be more books coming. OMG – this is the best book yet in the series! We’ve caught glimpses of Sue-Ellen through the first three books, now we get to learn her story. Was she really willingly staying with Uncle Theo? Could he possibly be a loving uncle to her, and give her the life she longed for? BZZZT – wrong answer! Who exactly is Samael? Is he her knight in golden scales, or is he hiding an agenda of his own? With the death of her captor, Sue-Ellen must decide what she wants out of life, and who she wants to spend it with. Samael has changed since they first met, and not in good ways. Was he pretending then, or is he pretending now? And what is this Anastasia chick all about, and what is she to Samael? It’s all too much for a simple swamp gator girl to deal with! Fate decides to throw Sue-Ellen yet another curveball, and everything she thought she knew turns out to be wrong. Will Remiel save her, or cause her more heartache? He’s been living in the pit for years, mostly content. The introduction of this little hellcat makes him start to remember things from his past that he’d been coerced into forgetting. Can he keep her? Should he keep her? How would she taste roasted over a fire with just the right amount of seasoning? Why does he feel he knows her? As the memories come back, it all falls into place. Now Samael wants her back, but Remiel isn’t interested in giving her up.